The best places to ski on Earth? Former Olympic downhill champion Tommy Moe is based at in the Tordrillo Mountains in Alaska and acts as a guide to enthusiasts who want to tackle the challenging conditions with endless steep couloirs -- narrow gullies in steep mountainous terrain. 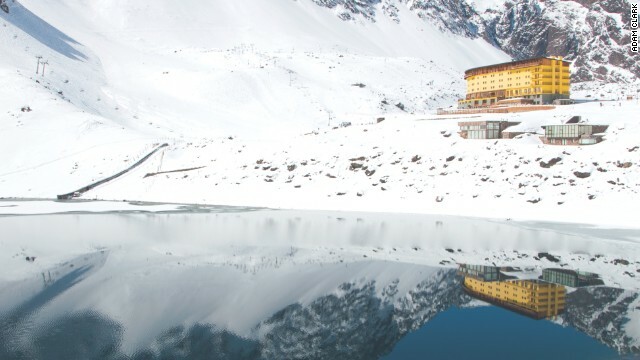 It is ideal for heli-skiing and other off-piste activity. Moe selected Niseko, which in the southwest of Hokkaido, Japan's second-largest island, as the place to go, not least because of the "bottomless powder snow" which enhances the experience for the best of the best. Moe goes airborne on his way to Olympic downhill gold at the Lillehammer Winter Games in 1994. Alta in Utah, less than an hour from Salt Lake City, has a reputation for perfect fluffy powder snow and beautiful terrain. 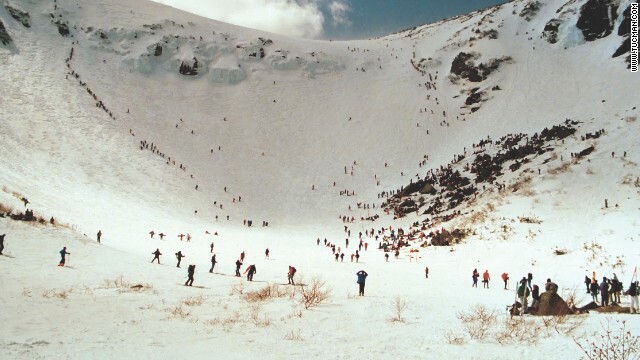 It's also one of the few resorts to apply a 'no snowboarding' rule which has proved controversial. Val D'Isere is a famous French resort which was used for the 1992 Winter Olympics and world alpine skiing championships in 2009. It is also famous for its 'apres-ski' offerings as well as it abundance of challenging on and off-piste runs. 'I believe there's no place like Aspen,' says Olympic medalist Chris Klug. As well as the massive range of ski and snowboard options which cater for all standards, Klug also lauds the big city attractions within a small town and believes it has all the bases covered. 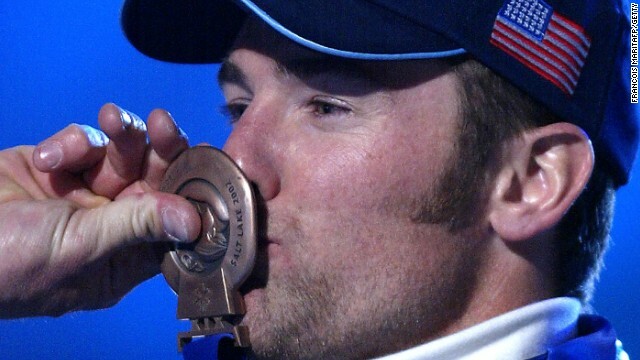 Klug made Olympic history when he became the first transplant patient to win a medal -- his bronze coming at the Salt Lake Winter Games of 2002. A skiing expedition to the Antarctic Peninsula is not for the fainthearted or financially challenged. But adventurer Doug Stoup believes it is worthwhile because "the inner beauty is just insane" and the trips he leads "push the limits of human endurance" in stunning, inhospitable terrain. 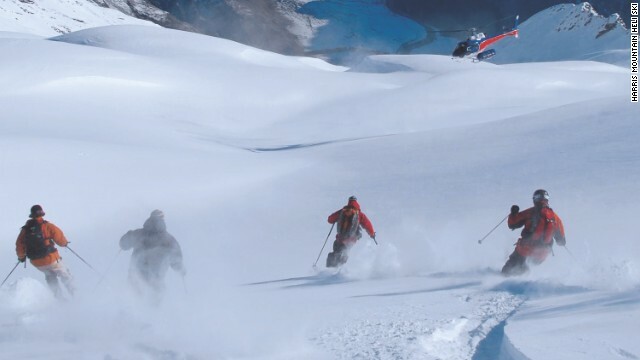 Heli-skiing is the order of the day in New Zealand's Southern Alps with seven different ranges offering nearly 2,000 square kilometers of snow to drop into. A mixture of steep hills and glacial terrain are on offer as well as stunning scenery. Olympic gold medalist Jonny Moseley learned his craft at Squaw Valley in California -- which hosted the 1960 Winter Olympics. Moseley says, when conditions are right, 'it's just an incredible place to ski." He has a run named in his honor commemorating the gold medal he won in the moguls at the 1998 Nagano Games. Cortina D'Ampezzo in the Italian Dolomites is a jet set location with spectacular scenery and jaw-dropping slopes. 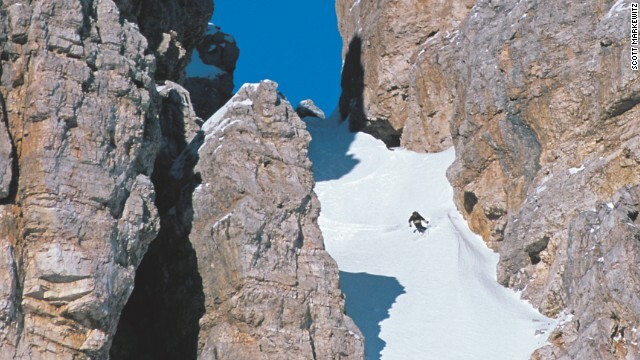 It was the location for a famous scene in the James Bond Film "For Your Eyes Only" and Sylvester Stallone's "Cliffhanger", adding to its reputation as the place to be seen as well as ski. 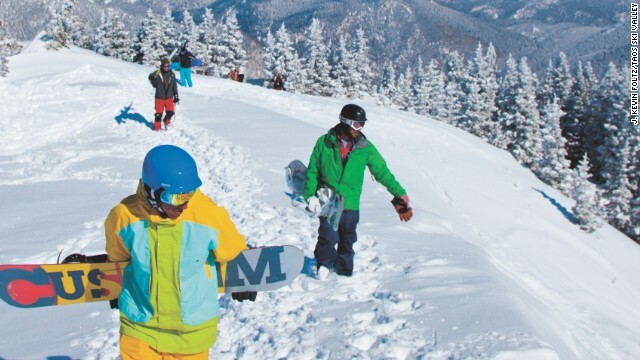 Taos in New Mexico was only established in 1956 but now has 110 trails, 13 lifts and is immensely popular with skiing and snowboarding aficionados. They are drawn by the challenging runs and the "laid back" attitude of the resort and its local community. Portillo -- 'Little Pass" in Spanish -- is about 160km from Chile's capital of Santiago and was first used as a ski resort in the 1930s. It hosted the world alpine skiing championships in 1966 -- the first and only event of this status to be held in South America. Tuckerman Ravine in New Hampshire is often battered by brutal winds but its forbidding terrain is easily accessible to city dwellers from nearby Boston. There are no lifts so part of the experience is hiking to the top before picking a line to the bottom. The level of difficulty is rated as high and unfortunately there are fatalities every year. 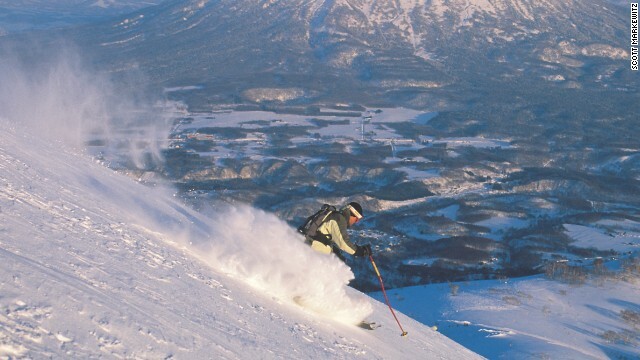 Skiing in the midnight sun in the Lyngen Alps nearly 300km above the Arctic Circle is a breathtaking experience. A 'hidden gem' is how former international freestyle skier Kelly Holland describes it. 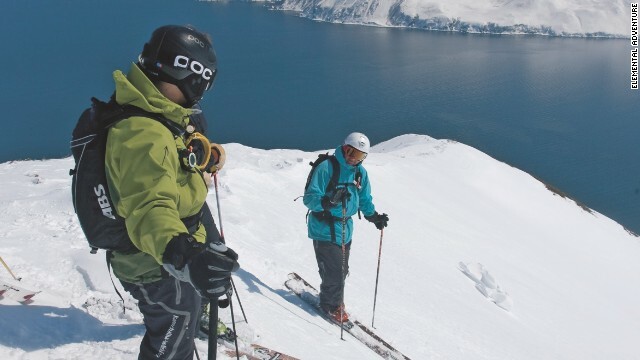 Advanced skiers only are recommended to sample Kamchatka and, as one of the world's last great uninhabited wilderness, it is accessible only via the heli-skiing route. Kamchatka is also home to the world's largest population of brown bears -- so watch out! Kitzbuehel in Austria is home of the famous Hahnenkamm Hill which challenges the best skiers in World Cup competitions. (CNN) -- It's that time of the year when winter sports enthusiasts dust off their skis and snowboards and get ready to hit the slopes in search of perfect powder and fresh adventures. The choice of ski resort is key to that enjoyment and a good place to start might be Solden in Austria where the Alpine Skiing World Cup starts next weekend on the treacherous Rettenbach Glacier. 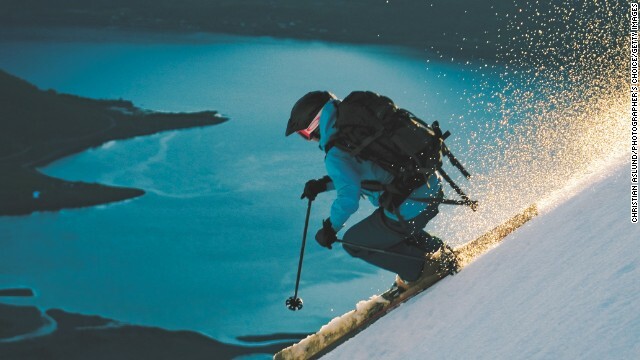 The courses set for the daredevil professionals might prove a little daunting for the average skier -- but help is at hand from Olympic legends who forged their reputation at that highest level, yet still appreciate the needs of the less gifted participant. Step forward Tommy Moe, whose approach may border on the reckless but who seized his moment to win the blue riband event in alpine skiing. Moe's gold in the downhill at the Lillehammer Games of 1994 came as a surprise to almost everyone but himself. He sensed something special would happen. "I thought today's the day, I will either win or crash," he told CNN. "You have to have that sort of mentality. Looking back I was at the peak of my career." He went on to win silver in the super-G to complete a triumphant Games. His fellow American Chris Klug is another ski aficionado. Klug was given a precious second chance of life after a liver transplant and grabbed it with both hands to join Moe in Winter Olympic folklore. 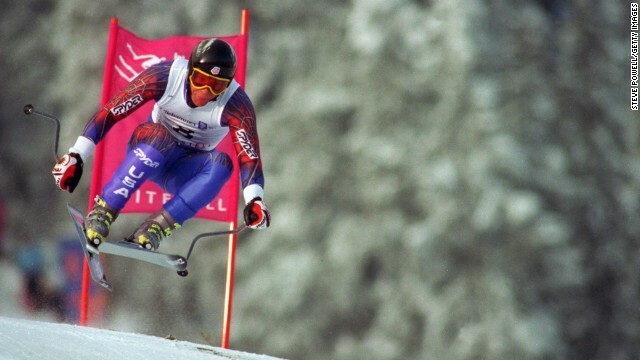 Klug spent nearly a decade on a transplant waiting list after being diagnosed with a rare condition, but it did not stop him competing in the parallel giant slalom event at the 1998 Nagano Winter Games. Two years later he underwent successful surgery after a perfect donor match was found and within weeks was training again for his demanding sport. "I was so glad that my lifestyle had not been compromised," he told CNN. Far from it. Earning a place in the U.S. team for a "home" Winter Games in Salt Lake City, Klug achieved the remarkable feat of winning a bronze medal in the parallel giant slalom event. "It was the highlight of my life and I certainly received a lot of exposure because of my condition." Proud to be a part of @cnnhealth @drsanjaygupta report sharing my #organdonation story and @donordudes @chrisklugfdtn life-saving mission! To this day, Klug remains the only transplant recipient to win an Olympic medal. He went on to compete in the 2010 Vancouver Games to extend his career at the top to nearly 20 years. "I'm proud to share my story and let people know what is possible after a transplant," said Klug who gives inspirational speeches and runs a foundation? 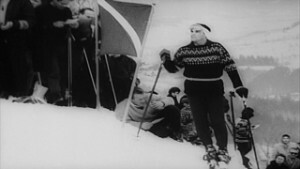 Klug also competed on the professional skiing tour where he raced against Moe, who naturally is full of admiration for his feats. "Chris is a great guy," he said. Given their backgrounds and love of the mountains, it is no surprise that in retirement both remain close to the sport, acting as expert guides to groups and individuals of all standards. Having raced all over the world, both also have a unique insight and a particular view of what constitutes their ideal ski resort. 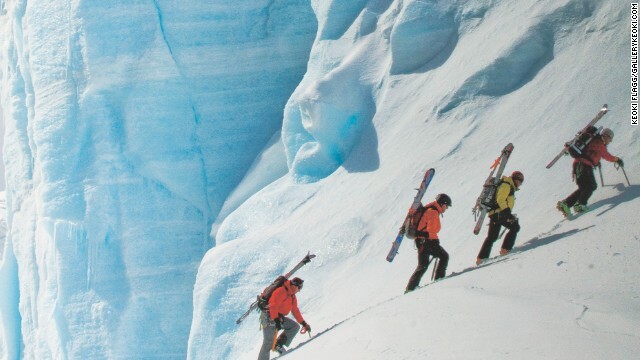 Given their pedigree and knowledge, they were asked to contribute by author Chris Santella to his book, "Fifty Places to Ski and Snowboard Before You Die." 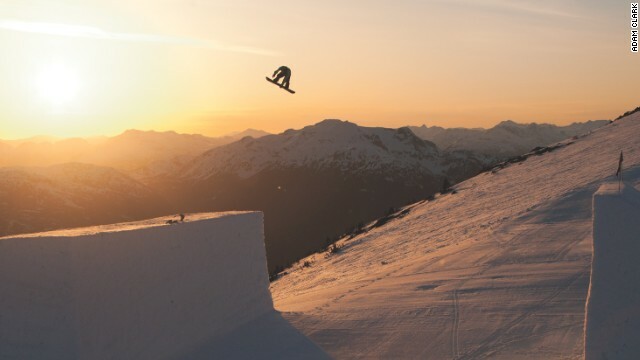 Santella, who is based in Portland, Oregon, asked experts, both competitive skiers like Moe and Klug and influential figures in the sport, for their choices and the result is an eclectic mix across several continents. Moe spends most of his time at his home in Wyoming with his wife Megan and two daughters, Taylor, who is six, and four-year-old Taryn. 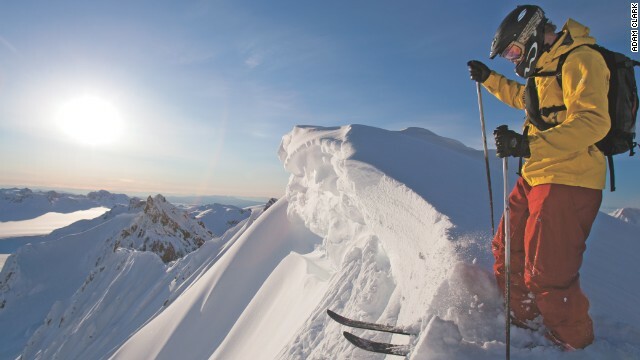 He is also an owner of the Tordrillo Mountain resort in the Alaskan wilderness, where he leads skiers of all standards on heli-skiing tours -- the only way to access 1.2 million acres of terrain. By confession, Santella is not an expert skier, but his own choice is Tordrillo after going with Moe on one of his expeditions. "I looked down where were supposed to go and must admit I had some doubts, but it was brilliant thanks to Tommy," he said. Moe was renowned for his all or nothing approach. It was ultimately his undoing after a serious crash in 1995 on the Kvitfjell course he had won gold on the year before had a detrimental effect on his ambitions at the highest level. But skiing with the likes of Klug and other ex-Olympic stars, he extended his career on the U.S. professional circuit. These days, Moe is mostly content to take in the views and pass on his expertise to others. "I still ski for myself just a little bit, but I've got a lot smarter. 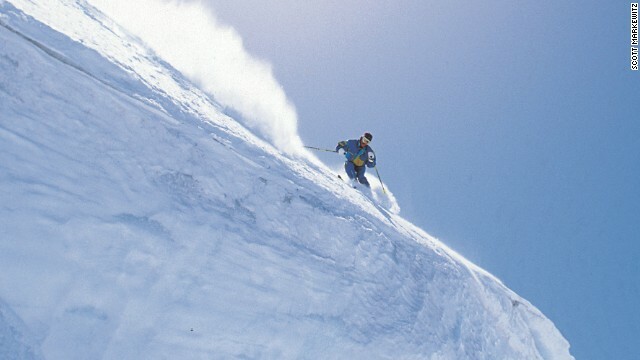 I just liking skiing with business friends, or people hire me to ski with them." His two daughters have also taken to the slopes and although Moe would be delighted if they followed in his illustrious footsteps, he is wary of the dangers. "It is a tough career and as I know only too well you can get injured," he said. Not that his daredevil days are behind him just yet. "Live life on the edge, or you are taking up too much space," remains Moe's mantra at heart. He understands why Santella chose Tordrillo for special mention. "It's pretty special. Alaska is really vast with so many mountain ranges. Our little area has 1.5 million acres of our own terrain we can access mainly by helicopter. "It's a wilderness and we can go to untouched mountains with a dream landscape at all times of the year." And would it be Moe's own top choice? 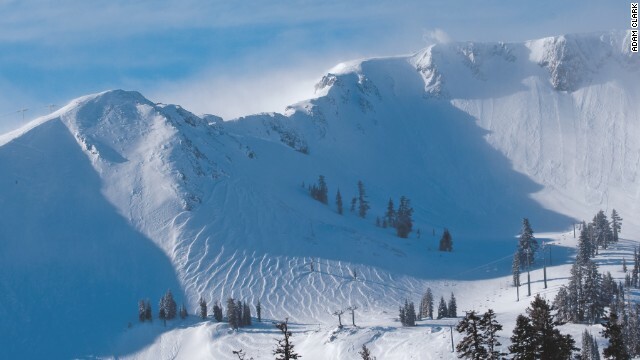 "It's definitely in my top three along with my own selection of Niseko (which in the southwest of Hokkaido, Japan's second-largest island) and probably Jackson Hole in Wyoming." 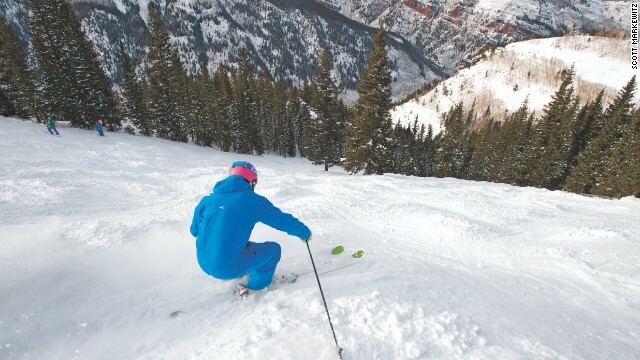 For the 42-year-old Klug, who lives in Aspen, Colorado, there is no place like home. 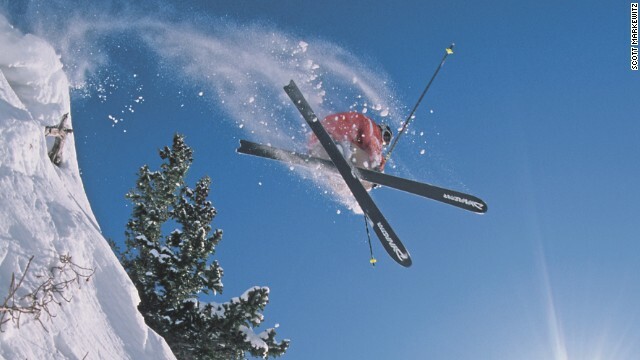 "Maybe I'm biased but not only do we have incredible terrain, but Aspen has a unique history so you can come here to find great skiing and snowboarding as well as big city cultural attractions," he told CNN. However, as Santella notes in the foreword to his book, it's an entirely subjective judgment. For some the perfect setting would offer to chance to match legends such as Moe and Klug on the same pistes. "To push your skills to the limit on dizzying steeps or monstrous moguls," he wrote. "To walk in the turns of some of the sports' most celebrated practitioners ... for others it might be a few gentle runs on the nursery slopes and good 'apres-ski.' "
But he is keen to stress that you don't need to travel to the other side of the planet to experience the sheer joy of snowing or snowboarding. "A good dump of snow on your modest local hill can make for a great day. Yet a trip to a dream venue can create memories for a lifetime." For Klug, every day is a great day after facing down a life-threatening condition to inspire others with his feats. "I stared death in the face for nearly 10 years on a transplant waiting list and went on to win an Olympic medal," he says proudly. "It's about not taking a single turn for granted and enjoy the ride." Santella hopes his guide will inspire skiers and snowboarders of all standards to take to the slopes, but knows the selection of the top 50 resorts will be open to debate with so many so passionate about the sport. Olympic medalist Henrik Kristoffersen takes snowmobile ride on a frozen lake in Sweden. Austrian skiers Anna Fenninger and Marcel Hirscher reflect on their World Cup triumphs. 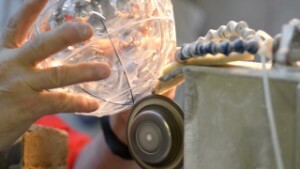 Christina Macfarlane explores how skiing's coveted Crystal Globe is made. Ghostly lights ... and uphill torture? The ghostly lights wind up from the base of the mountain. Heart rates are also rising. This race is held on a notorious downhill ski course -- but in reverse. 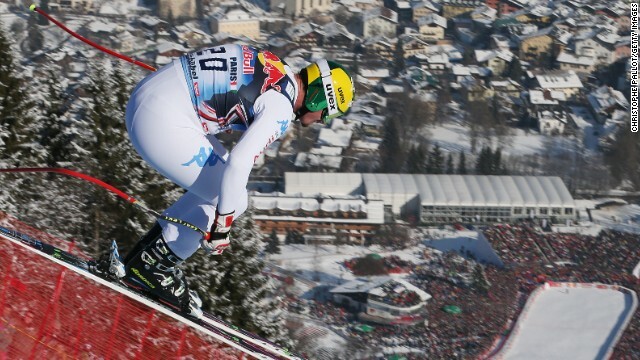 CNN's Christina Macfarlane looks back at the history of Austria's Kitzbuhel ski race. Heat molds your ski boots? CNN's Christina Macfarlane explores a new technology that customizes the entire boot to your foot. If you're scared of heights, then this is not for you -- a glass cube perched at the top of a 12,600-foot peak in the French Alps. 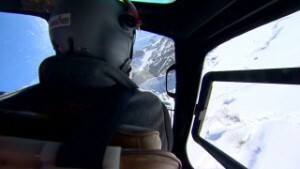 CNN's Christina Macfarlane goes on patrol with a a seasoned ski rescue team in the French Alps. CNN's Christina Macfarlane meets Giant Slalom world champion Tessa Worley in Lyon, France. 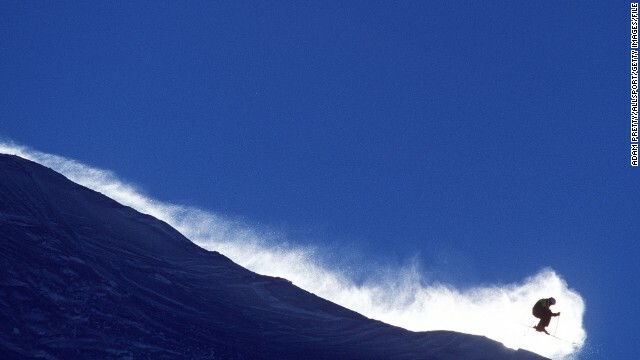 Could avalanche airbags save lives? From GoPro cameras to avalanche airbags. 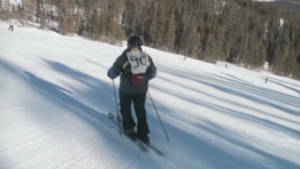 CNN's Christina MacFarlane puts the latest skiing gadgets to the test. The planet's finest slalom skier? CNN's Christina MacFarlane talks to teenage skiing sensation Mikaela Shiffrin. CNN's Christina Macfarlane finds out how designers and engineers made Beaver Creek race course from scratch.